I often have conversations about books and writing and life with random people - strangers - I encounter in life. I sometimes buy extra copies of my favorite books to hand out and I have even walked around the city leaving books in random places (with a little gift note in the inside page) for anybody who finds them and cares to take them and read them. I find that when you ask people how they are or ask them about themselves - and you really are interested in their answer - they are so willing to open up and share. I enjoy people and I love to listen, so I often find myself chatting to strangers who tell me the stories of their lives. One time a makeup artist told me a story about her mother fleeing her war torn Eastern European home many years earlier while hiding her baby under her arm. That baby grew up to be the makeup artist I was speaking to. Another time in an acting class, a man shared with me that he had been sexually abused as a child and had felt on the outside of his life ever since, but he felt that acting was starting to help him work through this. Then there was a morning in the arrivals hall of Dublin airport when a woman shared with me that she was waiting for her daughter to fly in from San Francisco, home early from a work placement, because her father, the lady’s husband was dying. She had told him that his daughter had just had enough of the States, concealing the truth of what was really happening. All very personal and intimate stories to share with a stranger, right? Maybe it’s not like that. Really, I think we just all want to be truly seen and heard in life and not judged. So possibly it is easier to share with a stranger when that stranger is there to listen? So often when I hear people tell their stories of life and of overcoming their individual ups and downs I feel that these stories are so important to tell - stories full of variety and love and adventure and hope and joy and pain and sadness and LIFE. Sometimes people themselves will say that they have often thought of writing a book and sometimes I will say to them “You should write a book!” I say it to my sister, who is made for writing fiction! I says it to my Dad who tells funny stories of growing up in old Dublin. I say it to my pilot friend who takes spectacular photos from the cockpit of private jets and wants to create a photo book! I love hearing people tell their stories and I feel so passionately that these life experiences could impact and inspire and help others. Truly, you can make a real difference with your writing! When I ask people why they haven’t written a book so far, they give me a variety of reasons – they wouldn’t know where to begin or it seems like it would take a long time or they wouldn’t know how to get it out in the world. Here’s the thing – @@Now is the best time ever in life to create. @@ Whether it’s creating music or a book or art or whatever. 1. Creation falls into the “Important but not urgent” category. There will rarely be an urgent moment to create. It’s something that can so easily be put off. It’s something you feel can easily be put off for another time, another day. It IS important though. Your stories mark your experiences and your energy and your life. When you want to write about them and you do write about them you honor them as important and you do others the gift of sharing your life and your creativity and your learning with them. You become a torch-bearer or a teacher or an entertainer. 2. You’ve heard the expression “Strike while the iron is hot”? A perfect example is to write in the moment you are fired up with emotion and to ride that wave of inspiration and energy. 3. Right now in life so much of the power and choice when it comes to writing and launching a book – or any other creative endeavor - is in the hands of the creator. You can decide what you want to share, the means by which you want to share it, how you want to fund what you are doing and you can take charge of your own media so you can connect directly with your audience. Over the past little while as I’ve been listening to people saying they have a story to tell and they want to write a book, I’ve been listening extra hard and I’ve been asking questions so I can understand how I can help through the work I do. It seems that many people who want to write a book feel that it’s an elusive kind of dream, something for someday, something overwhelming. Really, they don’t know what steps they need to take to get their work out into the world. Or what order to do this in. Now, this is the part where I can help. Really, it’s simply a matter of following a set of steps and doing a bit of work – and like all the good things in life the work is enjoyable work. So today I have a couple of questions for you. 1. What story do you have to tell? What book do you want to write? What is your message, your guidance to share? What have you lived through that you can help someone else live through? Here is a graphic for you. 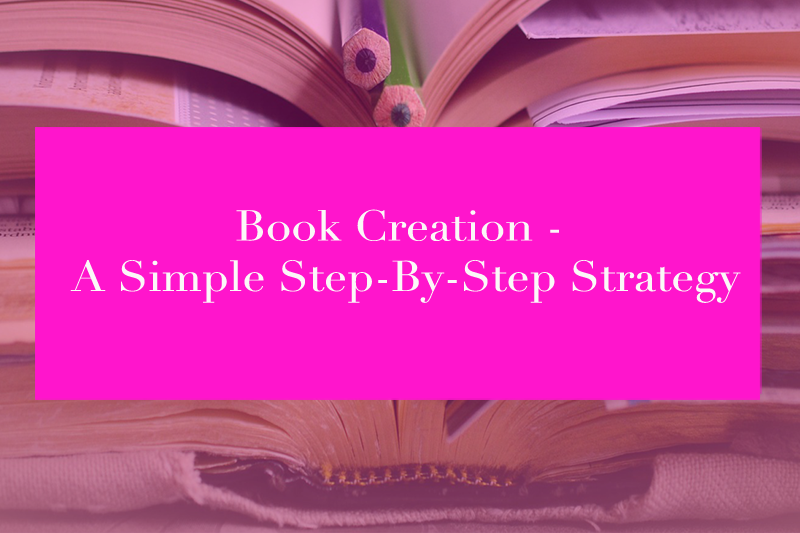 This is an outline of the basic steps to take to create and prep for the launch of your book. What I want is for you to see is that this is all just a step-by-step process - it doesn't have to be done in a specific time frame. It’s not complicated and it’s not hard. It's also possible to do different things at the same time - for example, you can begin to build your book platform as you write your first draft of your book. Yes, there is work involved, but when writing a book is something you feel called to do the work is enjoyable and rewarding too. This graphic is a brief summary and is definitely not exhaustive, but it's an excellent start! If you would like to learn more about how I can help you personally with your writing, please click HERE. Thank you for reading and, as always, I wish you lots of happy writing!